CV ACT1: A single-octave CV Japanese-language voicebank, encoded with hiragana and romaji aliases. VCV ACT1: A single-octave Japanese-language 7-mora VCV voicebank, encoded with romaji and hiragana aliases. There was a known issue in which Amakune Chiroru ACT1 — both CV and VCV versions — dropped certain sounds when used in PC UTAU. This issue has since been resolved. If you downloaded Chiroru previously and experienced this issue, please re-download from the updated links above. 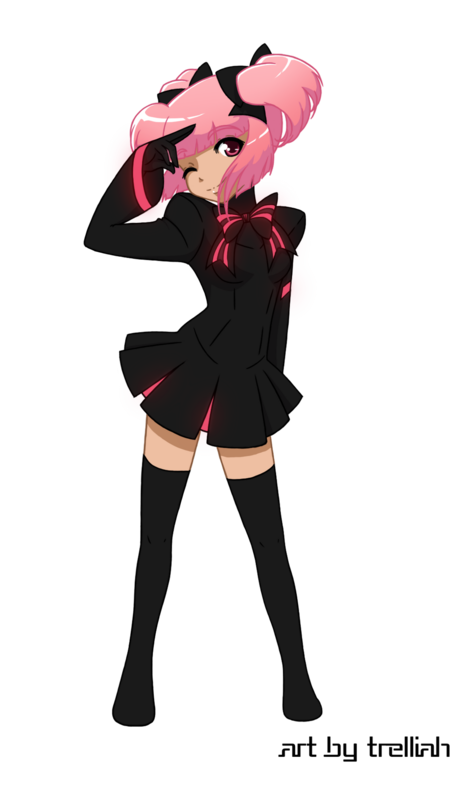 In UTAU-Synth, Ichigo and Chiroru sound best with a BRE setting of 50. It's likely that the same applies in UTAU. All OTO.inis have been converted for use with UTAU PC as well as UTAU-Synth. If you run into technical issues with any version of Chiroru or Ichigo, please let Trelliah know. Derivative Status: Created by voice-source owner. Likes: Magical girl shows, cupcakes, marshmallows, cute plush toys, medieval edged weaponry. Dislikes: Snobbish, arrogant people; shallow people; limes; math. Secret Desire: To open a dessert shop. Personality: Chiroru is a bright, cheerful girl… who has a tendency to blow nearby appliances up accidentally when she's angry. She adores magical girls and dreams of being a champion of justice herself. She also loves cooking and baking things, which is fortunate, as her older sister, Ichigo, is a horrendous cook.